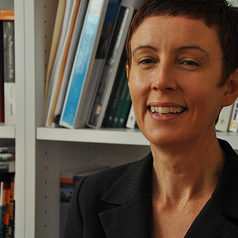 Stacy Carter is Associate Professor and NHMRC Career Development Fellow at the Centre for Values Ethics and the Law in Medicine (VELiM) at the University of Sydney. She works on the ethics of public health (especially screening and health promotion) and methodology for the social sciences. Most of her research has been funded by the NHMRC, and is conducted collaboratively with local and international colleagues and PhD scholars. She is Associate Editor for the Health Promotion Journal of Australia.